Has the newsletter landed in your inbox? if not, then we don't have your email details. You can subscribe on the newsletter page on our website. The school newsletter will then be emailed to you via 'Mailchimp'. This new format will be easy to read on mobile devices as well as desktop computers. We hope everyone enjoys it!! Read the new STUDENT NEWS every 2nd week!! 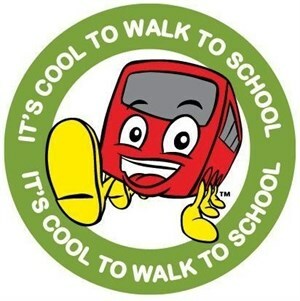 PEP runs a walking school bus - a fun, safe and active way for children to walk to and from school with other children and adult supervision. It is a bit like carpooling without the car! PEP's existing WSB called the East Bus assembles at the corner of Cornwall and Kimpton Roads every Thursday at 8.10am. It departs at 8.15am. To sign up or learn more, please pick up a WSB Guidelines and Consent Form from the school office. Our WSB depends on the availability of the parent volunteers. So, if you'd like the WSB to expand to include afternoons, other days, and other routes, please contact the school office to let us know how you can help. This month we celebrate a fun theme each week. Check out the notices page to find out more.